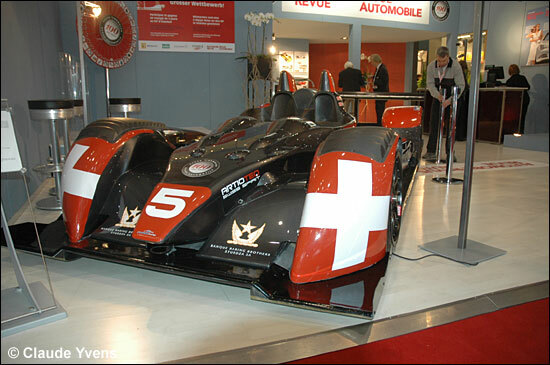 The Geneva Motor Show today saw the unveiling of ‘Swiss Spirit’, the new Swiss challenge for the Le mans 24 Hours and the Le Mans Series. Harold Primat gained some good LMP1 experience last year, and made it clear that he was keen to stay in LMP1 – so he is on the driving strength, with fellow Swiss Marcel Fassler. 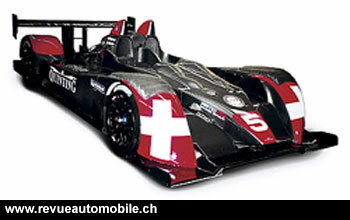 The team’s brand new car is a Courage LC70, powered by the latest 5-litre version of the Engine Developments V10. The car will run on Michelin rubber. 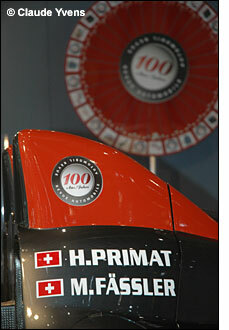 It was unveiled at lunchtime today, March 1, on the Revue Automobile magazine stand at Geneva. The team has already appeared on the full-season entry list for the Le Mans Series, so the car’s race debut will be at Istanbul in April. Entrants of new prototypes are having to wait before their entries are accepted for Le Mans by the ACO: for those teams not racing at Sebring, their first opportunity to impress the ACO will be at the Paul Ricard test days at the end of March. Serge Saulnier is the team manager, and he had this to say today. “Today is a great moment for me and for Switzerland. This program is a new start for our organisation as we move away from single-seater formulae towards prototypes and endurance racing. I’ve been keen to make the move from many years but only with all the key requirements for a highly professional and competitive programme, which I am delighted to say we now have. If we can get an entry for the Le Mans 24 Hours, it will be the achievement of a life-long dream. “Although I made my name as a Team Manager in single-seater racing over the years, we have been involved in endurance racing via the “V de V” championship. You cannot compare this with racing an LMP1 prototype in the Le Mans Series, but this experience will still be very valuable as we have learnt important lessons - especially regarding the strategy and the approach to races. Saulnier believes that the Courage offers “the best all-round package for an LMP1 car”, while the Judd is “the benchmark for performance and reliability”.